After my Marx lecture on tuesday evening I was talking to some intrepid fellow travellers about William Burroughs anthropological expedition to sample Yage in South America and I mentioned his letters (as well as doing some pretty bad imitations of uncle bill’s Benway routines). Even though the second volume of letters is about to be published, the first volume may be hard to get so I have copied the relevant letters. There is an entire book on this stuff. 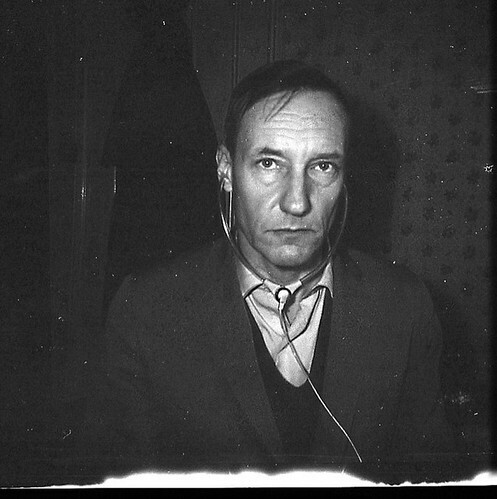 via Dead Fingers Talk: The Tape Experiments of William S. Burroughs. Dead Fingers Talk is an ambitious forthcoming exhibition presenting two unreleased tape experiments by William Burroughs from the mid 1960s alongside responses by 23 artists, musicians, writers, composers and curators. Few writers have exerted as great an influence over such a diverse range of art forms as William Burroughs. Burroughs, author of Naked Lunch, The Soft Machine and Junky, continues to be regularly referenced in music, visual art, sound art, film, web-based practice and literature. One typically overlooked, yet critically important, manifestation of his radical ideas about manipulation, technology and society is found in his extensive experiments with tape recorders in the 1960s and ’70s. Dead Fingers Talk: The Tape Experiments of William S. Burroughs is the first exhibition to truly demonstrate the diversity of resonance in the arts of Burroughs’ theories of sound. The exhibition includes work by Joe Ambrose, Steve Aylett, Alex Baker & Kit Poulson, Lawrence English, The Human Separation, Riccardo Iacono,Anthony Joseph, Cathy Lane, Eduardo Navas, Negativland, o.blaat, Aki Onda, Jörg Piringer, Plastique Fantastique, Simon Ruben White, Giorgio Sadotti, Scanner, Terre Thaemlitz, Thomson & Craighead, Laureana Toledo and Ultra-red, with performances by Ascsoms and Solina Hi-Fi. Inspired by the expelled Surrealist painter Brion Gysin, and yet never meant as art but as a pseudo-scientific investigation of sounds and our relationship to technology and material, the experiments provide early examples of interactions which are essential listening for artists working in the digital age. In the case of the work in the exhibition the contributors were asked to provide a “recording” in response to Burroughs’ tape experiments. The works, which vary significantly in media and focus, demonstrate the diversity of attitudes to such a groundbreaking period of investigation. 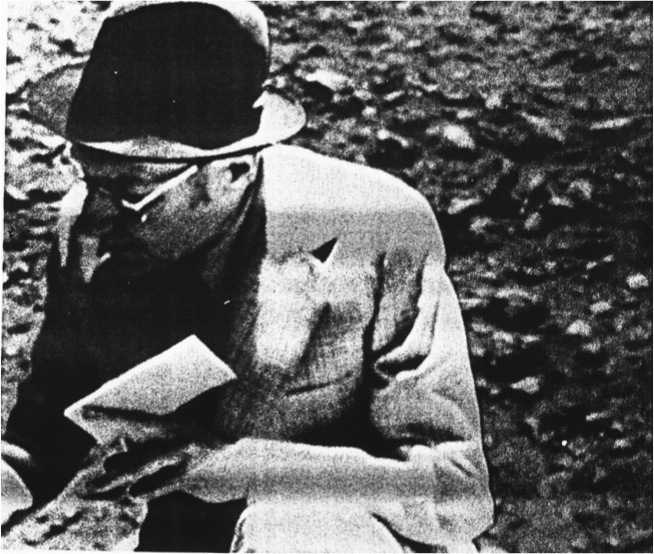 Dead Fingers Talk: The Tape Experiments of William S. Burroughs is curated by Mark Jackson. The project is supported by the London College of Communication, CRiSAP and ADi Audiovisual and has been made possible by the kind assistance of the William Burroughs Trust, Riflemaker and the British Library. Elena tells me: “Marc Twain said: “While the rest of the species is descended from apes, redheads are descended from cats”. And sends this pic from Vienna to add to the buses as trinkets collection no doubt – we will take over the world eventually. Thx. Soseki Natsume 1905/2002 “I am a Cat” Berkeley: Tuttle Publishing. Kurt Vonnegut 1963 “Cats Cradle” New York: Dell Publishing. Burroughs 2000 “Last Words: The Final Journals of William S. Burroughs” which has lots to do with his cats, like Fletch. Grove Press. So this is Kendra Shaw the adorable space junkie in the Battlestar Pegasus kitchen having a bit of a snack. Its from the new BSG Razor telefilm (which I just got to see thanks to my dealer Terrence or Torrent or whatever he’s called). The film is full of surprises related to the Pegasus and its crew though I’m not telling. You find out Kendra is a powderfiend at the very start, so this is not spoiling – though there are lots of things to spoil, which means I guess I will refrain from commenting on it for a while. I did think the first half was better than the second – but perhaps that’s my preference. Laura K and I have been commissioned to write still more on the entire thing when the final series is aired in 2008 – we get a whole month to polish our chapter after the last episode, which goes to air in the US in August or so (starts April, so 20 weeks from then I guess). We will have more to say about Gaius and the Hybrids seem pretty interesting. Anyway, cute junkie trash as Kendra is, she is no Bill Burroughs, though I do wonder what she might have scribbled in her flight diary, doodling in her rack, ravings of note [stardate 23475.3] – yes, there might hang a tale. And just what kind of happy juice is she injecting into her neck? The Battlestar Wiki [all the spoilers you can eat] does not seem to know. Whatever it is, it certainly seems to ease the pain.